There were a number of notable decisions this past week. The Supreme Court issued its decision in Gobeille v. Liberty Mutual Insurance Company, No. 14-181. The court determined that a Vermont law requiring health plans to make certain disclosures to a state agency for an all-inclusive health care database is preempted by ERISA. The Court held that ERISA’s express pre-emption clause requires invalidation of the Vermont law as applied to ERISA plans. Another notable decision is Thomason v. Metropolitan Life Insurance Company out of the Northern District of Texas. 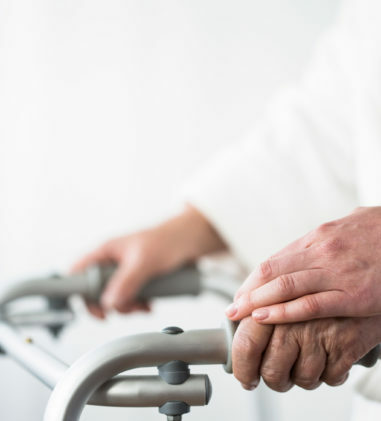 Applying contra proferentum, the court found that the terms of a Summary Plan Description did not permit the disability plan to offset pension benefits that a claimant directly rolled over into an individual retirement account because the claimant did not “receive” the pension benefits. The court distinguished the Ninth Circuit’s decision in Day v. AT&T Disability Income Plan, 698 F.3d 1091 (9th Cir.2012), where the court limited application of the rule of contra proferentem to cases in which the administrator does not have discretion to interpret the plan. Because the relevant language in Thomason was contained in an SPD, even one that was incorporated into the Plan, the Fifth Circuit requires that contra proferentem apply to the interpretation of SPDs. Vermont law requiring reporting by health insurers is preempted as it relates to ERISA plans. Gobeille v. Liberty Mut. Ins. Co., No. 14-181, __S.Ct.___, 2016 WL 782861 (U.S. Mar. 1, 2016). The Court affirmed the Second Circuit’s decision finding that ERISA preempts Vermont law which requires certain entities, including health insurers, to report payments relating to health care claims and other information relating to health care services to a state agency for compilation in an all-inclusive health care database. The Court explained that ERISA seeks to make the benefits promised by an employer more secure by mandating certain oversight systems and other standard procedures, and those systems and procedures are intended to be uniform. As part of the uniform plan administration system, ERISA mandates extensive reporting, disclosure, and recordkeeping requirements. Vermont’s law and regulation also govern plan reporting, disclosure, and recordkeeping. The Court found that Respondent need not show that Vermont’s regime has caused it to suffer economic costs. Further, Vermont’s regime cannot be saved by invoking the State’s traditional power to regulate in the area of public health. The Court also found that ERISA’s pre-existing reporting, disclosure, and recordkeeping provisions maintain their preemptive force regardless of whether the new Patient Protection and Affordable Care Act’s reporting obligations also preempt state law. Pension benefits rolled over to an IRA are not an offset against disability benefits based on language in SPD. Thomason v. Metro. Life Ins. Co., No. 3:14-CV-0086-P, __F.Supp.3d___, 2016 WL 791044 (N.D. Tex. Feb. 25, 2016) (Judge Jorge A. Solis). The issue in this case is whether pension benefits from the policyholder’s pension plan, which was rolled over to an IRA, is an offset properly taken against monthly long-term disability benefits. 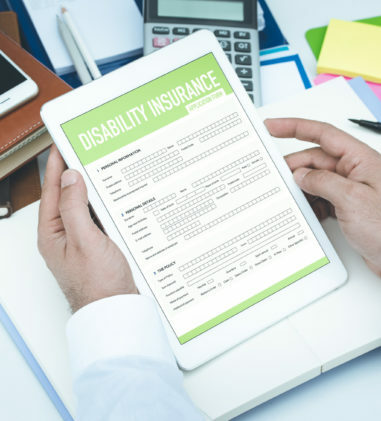 The long-term disability plan SPD provides that certain benefits are offset from the LTD benefit amount, including “[p]ension benefits from a Verizon pension plan, if you elect to receive them.” The SPD is incorporated into the Plan by reference. Plaintiff contended that he did not “receive” the pension benefits because he rolled his lump-sum pension payment into an IRA. Defendant contended that the money was received when MetLife delivered the lump-sum payment. The court, following Fifth Circuit precedent, determined that the rule of contra proferentum applies to the interpretation of SPDs when the language is ambiguous. The court found that both of the requested interpretations are reasonable so that a conflicting inference exists, justifying the application of contra proferentem. Applying contra proferentem, the court construed the term “receives” to mean possession through actual receipt of funds, rather than through a trustee-to-trustee transfer under the tax code. The court concluded that the administrator’s interpretation is incorrect and granted Plaintiff’s motion for summary judgment as to this issue. The court also found that two of the three abuse-of-discretion factors fall in favor of Plaintiff and granted summary judgment to Plaintiff as to the abuse-of-discretion prong. Plaintiff also asserted a claim under 29 U.S.C. § 1132(c) for the Committee’s failure to provide the pension-plan document and the trust agreement in response to his requests in violation of 29 U.S.C. § 1024(b)(4). Because Plaintiff did not allege or show prejudice from the delay in receiving these documents, the court denied his motion for summary judgment on this claim. Lastly, the court granted Plaintiff summary judgment on his claim under 29 U.S.C. § 1132(a)(3), where he asserted that the pension offset provision in the summary plan description is in violation of 29 U.S.C. § 1022(a) because it is not written in a manner calculated to be understood by the average plan participant and sufficiently accurate and comprehensive to reasonably apprise such participants and beneficiaries of their rights and obligations under the Plan. Court grants summary judgment against claimant who failed to exhaust administrative remedies and attorneys’ fees awarded to defendant insurer. Spath v. Standard Ins. Co., No. 15-CV-6128-SJ-DGK, __F.Supp.3d___, 2016 WL 772690 (W.D. Mo. Feb. 29, 2016) (Judge Greg Kays). In this case involving a denial of long-term disability benefits, the court granted summary judgment to Standard, finding that “no reasonable jury could find that Standard was unreasonable to conclude that Spath had not exhausted her administrative remedies.” Standard sent Plaintiff a claim termination letter and informed her that she must send a written request for Standard to review the claim decision within 180 days. Plaintiff’s attorney mailed Standard a letter within the 180-day timeframe, but the letter did not specifically request a “review” or “appeal.” Instead, the letter requested medical opinions, which the court found that a reasonable mind could interpret to mean that Plaintiff was assessing the strength of her case, and not necessarily appealing the decision yet. Further, following receipt of the attorney’s letter, Standard informed Plaintiff that it did not consider the letter to be a request for review. However, Plaintiff never responded to the letter although more than three months remained for Plaintiff to do so. Standard requested that the court award $1,000 in attorneys’ fees and costs. The court awarded Standard only $500 in fees after consideration of the five Martin factors. The court found that Plaintiff did not act in bad faith and that she did not have the ability to pay $1,000. However, the court found that a fee award would have some positive deterrent effect; including that plan participants would be incentivized to undertake an investigation as to the likelihood of success of certain arguments. Additionally, this lawsuit does not involve any significant question about ERISA since courts have consistently affirmed a plan participant’s obligation to exhaust administrative remedies before filing suit. Lastly, Plaintiff’s position was relatively much weaker than Standard’s position. Request for lump-sum retirement benefits payment made before notice of intent to terminate the plan remanded to PBGC for reconsideration. Fisher v. Pension Benefit Guar. Corp., No. CV 14-1275 (RDM), __F.Supp.3d___, 2016 WL 755607 (D.D.C. Feb. 25, 2016) (Judge Randolph D. Moss). 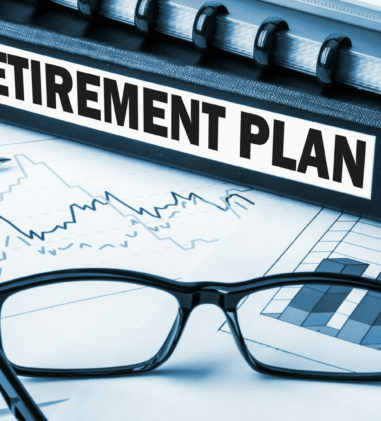 Plaintiff requested a lump-sum retirement benefits payment several months before the plan administrator submitted formal notice of its intent to terminate the plan. The administrator denied the request on the ground that applicable law prohibits the payment of lump sum distributions in anticipation of the termination of the Plan. When Plaintiff’s claim was denied the plan administrator had not yet submitted formal notice. The Pension Benefit Guaranty Corporation (“PBGC”) took over as trustee of the Plan after it was terminated and denied Plaintiff’s request for a lump-sum benefits payment. Plaintiff brought this action against the PBGC. 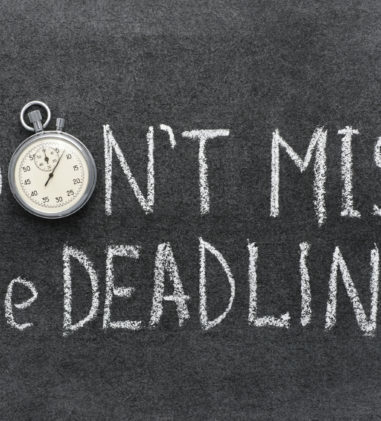 That PBGC relied on its policy to not accept a plan application to pay a benefit in a lump sum received by the plan administrator before the date the plan is terminated-even if it was received before the date of the Notice of Intent to Terminate. The court determined that Section 1341(c) cannot be read to permit the pre-notice denial of a pre-notice request. The PBGC provided no explanation which reconciled the Appeals Board’s conclusion and the text of Section 1341(c). Further, the PBGC did not address Plaintiff’s other argument that 29 C.F.R. § 4044.4, which prohibits the distribution of assets “in anticipation of plan termination” in a manner not consistent with ERISA, did not bar a lump-sum payment because the regulation was ultra vires and, in any event, inapplicable under the circumstances. The court determined that the Court cannot evaluate the potential impact of § 4044.4(b) on Plaintiff’s claim in the absence of the agency’s considered opinion on the matter. On the parties’ cross-motions for summary judgment, the court concluded that the PBGC Appeals Board failed to justify its decision not to honor Plaintiff’s request for a lump-sum payment and remanded the matter to the agency for further proceedings. Court awards prejudgment interest rate of 5.48% and attorneys’ fees and costs. Schleben v. Carpenters Pension Trust Fund-Detroit & Vicinity, No. 13-CV-14464, 2016 WL 806707 (E.D. Mich. Mar. 2, 2016) (Judge Laurie J. Michelson). After granting Plaintiff’s motion for summary judgment on his anti-cutback claim, he moved for prejudgment interest and attorneys’ fees. On prejudgment interest, the court found that the best way to prevent unjust enrichment is to split the difference and apply a prejudgment interest rate of 5.48%, which reflects an average of (a) the average “expected” rates of return from 2013-15 (7.66%) and (b) the Plan’s stated “actual” rate of return (3.287%). The court found that this rate would not only neutralize Defendants’ unjust enrichment but also more than compensate Plaintiffs for inflation and the lost interest value of the money withheld. The court found that the prejudgment interest rate of 5.48% should be applied in a “stream of benefits” method, which has been endorsed by the Sixth Circuit. The court awarded an hourly rate of $475 per hour for three partners who worked on the case and $250 per hour for a senior associate. 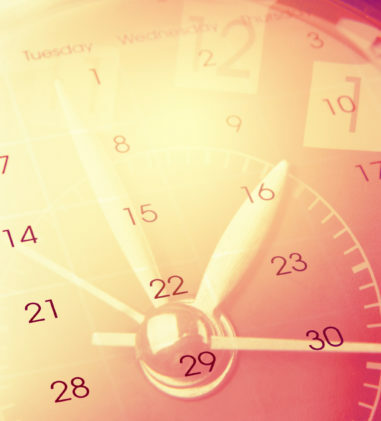 The court found that a 20% across-the-board reduction is appropriate for the hours requested. (1) Termination Benefits Class: Each person who signed an American Family Agent Agreement and (1) was an active agent as of February 28, 2013, or (2) is a former agent whose Agent Agreement was terminated on or after February 8, 2007. (2) Termination Benefits Breach of Fiduciary Duty Class: Each person who signed an American Family Agent Agreement and (1) was an active agent as of February 28, 2013, or (2) is a former agent whose Agent Agreement was terminated on or after February 8, 2010. (3) Termination Benefits Class: Each person who signed an American Family Agent Agreement and (1) was an active agent as of February 28, 2013, or (2) was a former agent whose became a full-time American Family Agent and came off an agent financing program on or after February 28, 2007. Class action settlement approved. Sims v. Pfizer, Inc., No. 1:10-CV-10743, 2016 WL 772545 (E.D. Mich. Feb. 24, 2016) (Judge Thomas L. Ludington). This case involved a challenge to Pfizer’s change of healthcare plan provided to class members. The parties reached a settlement of the claims. The court held a fairness hearing and approved the class action settlement. The settlement provides for substantial restoration of the prior healthcare plan subject to agreed-upon modifications, payment of $750,000 to settle the class members’ monetary claims, and payment of class counsel’s fees, costs, and expenses in the amount of $549,161.37. Disability claim properly denied under plan’s exclusion for work-related illnesses. Foltz v. Barnhart Crane & Rigging, Inc., No. 15-5907, __Fed.Appx.___, 2016 WL 796965 (6th Cir. Feb. 29, 2016) (Before KEITH, COOK, and McKEAGUE, Circuit Judges.) The court affirmed the district court’s grant of judgment to the Fund on Plaintiff-Appellant’s claim for disability benefits on the basis that his illness was work-related. Plaintiff’s illness was listed as acute respiratory distress syndrome (ARDS) due to chemical pneumonitis. On the claim form, his daughter answered “Yes (possibly)” when asked whether Plaintiff’s disability was due to his occupation. 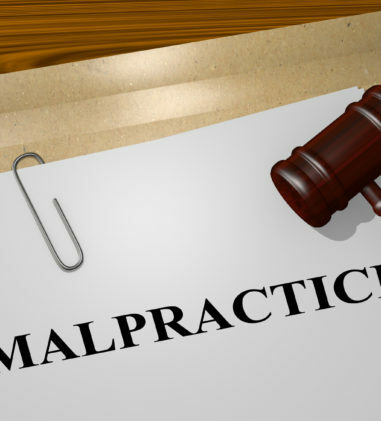 On the attending physician’s statement, the nurse practitioner noted that the primary diagnosis was ARDS and the secondary diagnoses were chemical pneumonia and acute renal failure and that the condition was due to injury or illness arising out of Plaintiff’s employment. The Fund’s plan includes an exclusion whereby no benefits will be payable for charges incurred as the result of a disease or sickness or illness for which benefits are payable under any Worker’s Compensation Act or any Occupational Disease Act or any such similar law. The court found that the only evidence in the administrative record supports the conclusion that Plaintiff’s illness was work-related and covered by the Tennessee Workers’ Compensation Law, rather than the Fund’s insurance plan. Claims administrator without final authority to determine a claim is not a proper party to a benefits claim. Corey v. Sedgwick Claims Mgmt. Servs., No. 1:15 CV 1736, 2016 WL 775382 (N.D. Ohio Feb. 29, 2016) (Judge Patricia A. Gaughan). On Plaintiff’s short and long-term disability claims against Defendants Sedgwick Claims Management Services and Eaton Corporation Disability Plan for U.S. Employees, the court dismissed the denial of benefits claims against Sedgwick for not being a proper party. The court found that while Sedgwick had the authority to make a first and second-level determination on Plaintiff’s claim, the Benefits Committee was the entity to which plaintiff appealed Sedgwick’s denial and was the entity that retained final authority to determine if a claim should be paid. 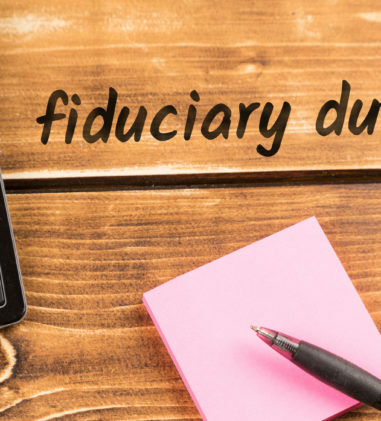 Under Briscoe v. Fine, Sedgwick is not a fiduciary with respect to Plaintiff’s denial of benefits claims. Plaintiff also brought a breach of fiduciary duty claim against Defendants for not allowing Plaintiff “access to proceed with his Long Term Disability application-win or lose.” Plaintiff claims that Defendants’ failure to provide him with the long term disability application led to the denial of such benefits, and his breach of fiduciary duty claim seeks redress for that injury. The court found that this claim aims to redress the same injury as the denial of benefits claim and is not permitted. Termination of benefits based on mischaracterization of FCE results is an abuse of discretion. Coulter v. Aetna Life Ins. Co., No. 14-CV-14404, 2016 WL 759341 (E.D. Mich. Feb. 26, 2016) (Judge Mark A. Goldsmith). The court found that Alcoa’s Benefits Appeals Committee abused its discretion in upholding Aetna’s termination of Plaintiff’s long-term disability benefits because it rested on a mischaracterization of the medical evidence that was the basis for a reviewing physician’s conclusion that Plaintiff was not disabled under the terms of the plan. The reviewing physician mischaracterized a prior FCE as showing Plaintiff qualified to perform “light-to-medium” work, when in fact it showed Plaintiff capable only of “sedentary” work. The court found that this error impacts the vocational inquiry required by the “any occupation” standard and undermines the reasonableness of the Committee’s final decision, particularly when the other medical evidence of record suggests that she cannot. The court found that remand is required so that the plan administrator can consider Plaintiff’s claim for benefits anew, without mischaracterization of Plaintiff’s capabilities. 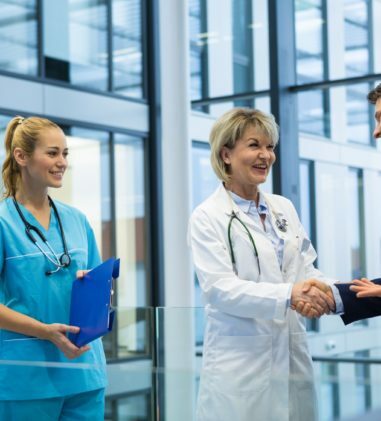 Employing a nurse case manager, and not a doctor, to conduct a medical review on appeal does not violate ERISA’s regulations where it did not prevent the full development of the record. Anderson v. Life Ins. Co. of N. Am., No. CV-15-00428-PHX-GMS, 2016 WL 777704 (D. Ariz. Feb. 29, 2016) (Judge G. Murray Snow). The court found that Plaintiff failed to meet her burden of proof that she was not able to do sedentary work over the relevant time period and is not entitled to either short term or long term disability benefits. The court explained that on de novo review, the court does not consider the process by which LINA reached its conclusions, except to the extent that the record is not complete as a result of LINA’s actions. In assessing an appeal from a group health plan’s adverse benefit determination “that is based in whole or in part on a medical judgment,” the plan must “consult with a health care professional who has appropriate training and experience in the field of medicine involved in the medical judgment,” 29 C.F.R. § 2560.503-1(h)(3)(iii), “who is neither an individual who was consulted in connection with the adverse benefit determination that is the subject of the appeal, nor the subordinate of any such individual,” 29 C.F.R. § 2560.503-1(h)(3)(v). Plaintiff argued that LINA violated § 2560.503-1(h)(3)(iii) when it employed an Appeal Nurse Claim Manager, and not a “qualified physician,” to review Plaintiff’s STD appeal. Although the court could remand the claim to take additional evidence if Plaintiff was denied a “full and fair review” because of some procedural irregularity, the court found that LINA’s use of an Appeal Nurse Claim Manager (rather than a doctor) did not prevent the full development of the record. If a claimant asserts that the record is not complete due to a procedural inadequacy, then the claimant can put forth additional facts which it asserts are necessary to provide a full review of the record, but Plaintiff did not do so here. Consequently, the court considered the appeal on the record provided. Voluntarily accepted submissions post-final appeal does not expand the scope of the administrative record. Blair v. Metropolitan Life Insurance Company, No. 4:13-CV-1789-VEH, 2016 WL 808135 (N.D. Ala. Mar. 2, 2016) (Judge Virginia Emerson Hopkins). On August 22, 2013, Plaintiff initiated this long-term disability benefits case against Defendant Metropolitan Life Insurance Company (“MetLife”) in the Circuit Court of Etowah County, which was removed to this court on the basis of federal preemption. Prior to that, on April 3, 2012, Plaintiff had filed an essentially indistinguishable long-term disability benefits case against MetLife in Etowah County, which action MetLife similarly removed to federal court (“Blair I”). On May 12, 2014, this case (“Blair II”) was stayed and administratively closed while the Eleventh Circuit considered the merits of an appeal in Blair I. The Eleventh Circuit decided Blair I in favor of MetLife in an unpublished opinion-Blair v. Metlife, 569 F. App’x 827 (11th Cir. 2014), cert. denied, 135 S. Ct. 1414, 191 L. Ed. 2d 364 (2015)-issued initially on June 23, 2014, by the Eleventh Circuit and subsequently entered as a mandate in Blair I. In Blair I, the Eleventh Circuit found that MetLife did not violate ERISA but not considering certain evidence submitted as part of Plaintiff’s “second appeal” to MetLife, which MetLife agreed to review as a courtesy. The court lifted the stay and reinstated Blair II and considered Plaintiff’s motion to amend the complaint, MetLife’s renewed motion to dismiss, and other motions. The court found that the Eleventh Circuit’s opinion in Blair I means that Plaintiff’s LTD claim asserted in Blair II is not plausible under ERISA. They are substantially identical ERISA lawsuits and seek redress from MetLife’s final denial of Plaintiff’s LTD claim. The court adopted as persuasive authority the Eleventh Circuit’s unpublished decision in Blair I, which instructs that once a final denial of an ERISA claim has occurred and the claims administrator has advised the plaintiff that she has exhausted her administrative remedies, a plaintiff’s subsequent submissions in support of her finally-determined benefits claim, even if voluntarily accepted by the administrator, do not expand the scope of the record for determining ERISA liability. The court rejected Plaintiff’s efforts to create a plausible ERISA claim by asserting waiver on the part of MetLife by virtue of its voluntary decision to undergo a second courtesy review of Plaintiff’s LTD Claim. “The court strongly doubts that the Eleventh Circuit will ever apply waiver to sustain an ERISA benefits claim premised upon an insurer’s willingness to undergo a courtesy review of supplemental records, which non-mandatory process is then circumvented by a plaintiff’s intervening appeal to federal court in a related action the challenges the final denial of the same long-term disability claim.” The court also found that because Section 502(a)(1)(B) adequately addresses Plaintiff’s benefits-related injury under ERISA, her LTD claim cannot be salvaged by resorting to ERISA’s conditional catchall provision by invoking waiver, judicial estoppel, or any other equitable doctrine against MetLife. Court grants request for discovery in part. Nicholas v. Cigna Life Ins. Co. of New York, No. 14-CV-14117-ADB, 2016 WL 755612 (D. Mass. Feb. 25, 2016) (Judge Burroughs). In this matter involving a denial of LTD benefits, the court granted in part and denied in part Plaintiff’s motion to take limited focused discovery. The court denied Plaintiff’s requested interrogatories 1-3, which concern the track record of Dr. Darrin Campo. CLICNY represented that it does not keep track of past LTD claims by medical reviewer and that it would need to manually review each claim file to obtain the information requested. The court found that this would be burdensome, especially in light of Dr. Campo’s certifying at the end of his medical report that he has “no direct or indirect financial incentive for a particular determination.” The court denied discovery targeted at CLICNY’s general policy and procedures, since the administrative record already contains a substantial collection of such documents. The court also denied discovery of performance evaluations for an Appeal Claim Manager, since this falls beyond the “narrowly tailored” discovery permitted in an ERISA benefit-denial case. The court ordered CLICNY to: (1) report the total compensation paid to MES Solutions in 2011 and explain CLICNY’s basis for determining how much to compensate MES Solutions in 2011; (2) explain the basis or method for compensating Dr. Campo and explain what input, if any, CLICNY has into which doctors are selected by MES Solutions to evaluate CLICNY’s LTD benefit claims; and (3) produce documents showing CLICNY’s procedures, if any, to prevent or mitigate the effect of structural conflicts. The court explained that this limited discovery will fill the existing gaps in the administrative record and help the court to determine the significance of the conflict in this case. Motion to compel discovery responses denied. Sumpter v. Metropolitan Life Ins. Co., No. 1:13-CV-0347-TWP-DKL, 2016 WL 772552 (S.D. Ind. Feb. 29, 2016) (Magistrate Judge Denise K. LaRue). Plaintiff brought suit against MetLife for denying his claim for an early payout of his basic life insurance benefit. His complaint included four causes of action, including a claim for benefits, for breaches of fiduciary duty, and for document penalties for failing to provide the summary of material modification and summary plan description. Plaintiff moved to compel Defendant to respond to interrogatories and produce all documents requested in a subpoena. The court denied the motion, finding that Plaintiff’s claims “appear doomed” and the discovery at issue is not proportional to the needs of the case. The court also found that since MetLife cannot be held liable for failure to provide plan documents, any discovery relating to that issue is not likely to lead to relevant information. Lastly, the court found that discovery relating to alleged failures to follow claims procedures would be unlikely to uncover relevant information and would be disproportionate to the needs of the case since relief for failing to follow claims procedures is deemed exhaustion. Court permits Rule 30(b)(6) deposition on conflict of interest and denies other requested discovery. Sender v. Franklin Res. Inc, No. 11-CV-03828-EMC (SK), 2016 WL 814627 (N.D. Cal. Mar. 2, 2016) (Magistrate Judge Sallie Kim). Plaintiff sought to depose five individuals “to unpack exactly how and to what extent Franklin’s conflict of interest affected that administration,” as well as response to ten interrogatories and ten requests for admissions on the subject of Franklin’s conflict of interest. The court only permitted Plaintiff the opportunity to conduct a Fed.R.Civ.P. 30(b)(6) deposition of the individual(s) knowledgeable of the following subjects: (1) Steps taken to investigate the subject claim; (2) The factual basis for the denial of the claim; (3) Franklin’s information regarding the address of Plaintiff, including record of his address in 1982, information on this subject gained during the administration and investigation of the claim, the removal of termination distribution documentation with the wrong address from the exhibits provided to the administration committee; (4) When the decision to prepare the denial of claim was made and by whom; (5) Evidence that Plaintiff did or did not receive ESOP shares; (6) Procedures in place in 2007-08 to reduce bias in claim administration; (7) Communications between Plaintiff and Defendant’s representatives. The court denied Plaintiff’s request to depose the five individuals and to propound written discovery. Claims under NJ Administrative Code Section 42.10 are conflict preempted by ERISA § 502(a) as claims for benefits due, but Section 42.10 itself is saved from preemption under ERISA § 514(b)(2)(A) as a law regulating insurance. Roche v. Aetna, Inc., No. 13-1377 (NLH/KMW), 2016 WL 797553 (D.N.J. Mar. 1, 2016) (Judge Hillman). Plaintiffs complain on behalf of themselves and a putative class of persons similarly situated that recovery actions taken by Defendants violate New Jersey’s anti-subrogation laws as well as the New Jersey Consumer Fraud Act, and other common law torts. Plaintiffs argued that their claims under the applicable New Jersey Administrative Code section, Section 42.10, are saved from preemption under ERISA § 5147. Defendants argued that Section 42.10 is completely preempted by ERISA § 502, which renders any saving under ERISA § 514(b)(2)(A) irrelevant. The court found that the claims under Section 42.10 are conflict preempted by ERISA § 502(a) as claims for benefits due, but Section 42.10 itself is saved from preemption under ERISA § 514(b)(2)(A) as a law regulating insurance, and so provides the relevant rule of decision for determining what benefits are due under a claim properly pleaded under ERISA § 502(a). The court explained that if Plaintiff decides to replead these claims, Section 42.10 may supply the relevant rule of decision for the ERISA § 502(a) claim as it has been saved from express preemption under ERISA § 514(b)(2)(A), but the New Jersey Collateral Source Statute may not, as it has been ruled to be expressly preempted by ERISA § 514. The court also found preempted Plaintiff’s other state law claims for (1) violation of the NJCFA and misrepresentation; (2) claims for breach of contract and breaches of various duties related to entering into contracts; and (3) claims for theft or attempted theft as well as conversion and unjust enrichment. Summary judgment to employer denied on breach of fiduciary duty claim related to life insurance benefit payments. Evans v. Prudential Ins. Co. of Am., No. 1:14CV169-HSO-RHW, 2016 WL 796128 (S.D. Miss. Feb. 26, 2016) (Judge Halil Suleyman Ozerden). Larry McNair worked for Northrop Grumman Corporation’s (“NGC”) Pascagoula, Mississippi, shipyard in 1974 and retired in 2004. He participated in the company’s group life insurance plan as an employee and retiree of NGC. On October 23, 1990, Mr. McNair completed a paper form for “Life Insurance Beneficiary Change Only” (the “Paper Designation”) designating his son, Plaintiff Rynell Roberto Evans, as his life insurance beneficiary with Rynell’s mother, Plaintiff Nancy M. Evans, listed as guardian; Rynell was a minor at the time of the designation. In 2010, NGC decided that it would “no longer honor paper beneficiary designation forms” and it announced this change to retirees in an insert to the 2011 Retiree Enrollment Benefits Guide. 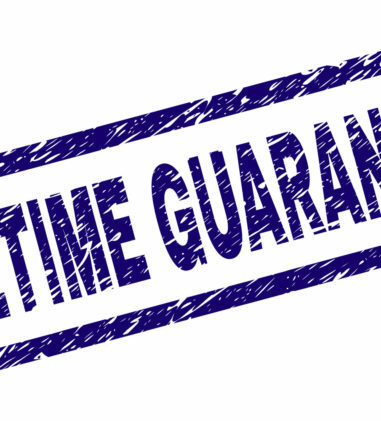 If a participant did not name a specific beneficiary online, then the life insurance benefit would be paid automatically to a surviving spouse. Mr. McNair did not make an online beneficiary designation and NCG was eventually purchased by Ingalls, which continued the practice of recognizing only online designations. Upon Mr. McNair’s passing, Ingalls provided Prudential with beneficiary information required to pay a death benefit under the Plan and informed Prudential that there was no valid beneficiary designation of record at the time of Mr. McNair’s death. Ingalls did not provide a copy of Mr. McNair’s original Paper Designation to Prudential and so Prudential followed the Plan’s default payout procedures and made a $25,000.00 payment to the highest surviving class of relatives under Plan, Mr. McNair’s surviving spouse Vera McNair. Plaintiffs, the paper beneficiaries, submitted a claim several months after Prudential already disbursed the payment. Plaintiffs filed suit and the court granted summary judgment to Plaintiff on the claim for benefits, finding that Prudential was entitled to rely on Ingalls to provide the necessary information for paying claims. On Plaintiffs’ breach of fiduciary duty claim against Prudential, the court found that Plaintiffs cited to no legal authority for the proposition that an ERISA fiduciary’s duty to investigate claims on a life insurance policy continues after a payment under the Plan has already been distributed. Further, the court found that Prudential appropriately delegated to Ingalls the responsibility to maintain records and deliver documentation, and is not liable for any act or omission of Ingalls in carrying out this responsibility. On Plaintiffs’ claims against Ingalls, the court found that Plaintiffs do not lack standing to pursue their ERISA claims against Ingalls since there is no evidence of any affirmative action taken by Mr. McNair to remove Plaintiffs as beneficiaries of his life insurance policy or select a default payout option. The court found that Plaintiffs have sufficiently pled a claim that, but for Ingalls’ alleged malfeasance, they would still be considered beneficiaries under the Plan. The court found that Plaintiffs may have an equitable remedy against Ingalls for its alleged failure to fulfill its fiduciary duties and declined to grant summary judgment to Ingalls on this claim. Lastly, the court denied Prudential’s request for attorneys’ fees, finding that Plaintiffs’ assertions are not so obviously without merit and suit was not brought in bad faith. Retiree met elements of equitable estoppel on pension benefit claim. Paul v. Detroit Edison Co. & Michigan Consol. Gas Co. Pension Plan, No. 15-1493, __Fed.Appx.___, 2016 WL 808105 (6th Cir. Mar. 2, 2016) (Before Batchelder And Griffin, Circuit Judges; Carr, District Judge*). The Sixth Circuit affirmed the district court’s finding that Plaintiff-Appellee proved sufficient facts to support a claim of equitable estoppel. Plaintiff sought relief from the reduction of his benefits two years after his retirement. ERISA equitable estoppel applies to pension plans where a plaintiff can demonstrate extraordinary circumstances in addition to the five traditional estoppel elements. These extraordinary circumstances must include: (1) a written representation; (2) plan provisions which, although unambiguous, did not allow for individual calculation of benefits; and (3) extraordinary circumstances in which the balance of equities strongly favors the application of estoppel. The court found that Plaintiff satisfies both the original five estoppel elements and the additional three elements for the ERISA context. Plan terms do not permit a cash-out of ex-spouses portion of pension account and no equitable estoppel. Donati v. Ford Motor Co., Gen. Ret. Plan, Ret. Comm., No. 15-1600, __Fed.Appx.___, 2016 WL 807371 (6th Cir. Mar. 1, 2016) (Before BOGGS, GIBBONS, and GRIFFIN, Circuit Judges). In this case, Ford offered to cash out Lydia Donati’s retirement benefits for a lump sum, which she accepted, only for a few months later to be told that Ford miscalculated the size of her lump sum by failing to take into consideration her ex-husband’s benefits. Donati’s daughter subsequently sued the Retirement Committee on behalf of her estate for the money Ford originally promised. The district court granted the Committee judgment on all claims and the Sixth Circuit affirmed. First, court found that the terms of the Plan unambiguously precluded Donati from cashing out the benefits she was deriving from her ex-husband’s account under the QDRO. Second, the court determined that under Rochow, Plaintiff cannot pursue a claim under Section 1132(a)(3) since she may avail herself of Section 1132’s other remedies. The court rejected Plaintiff’s argument that she pled her breach of fiduciary duty claim as an alternative to her wrongful denial of benefits claim since the “deciding factor” is not whether a plaintiff has recovered under Section 1132(a)(1)(B) successfully, but rather, whether a plaintiff may recover. Lastly, the court concluded that Plaintiff did not meet extraordinary circumstances requirement for her equitable estoppel claim. Since Donati was dying of cancer, the court found that she probably would have elected to cash out her benefits because it was financially advantageous to do so, regardless of the correct sum. Federal district court is proper forum for breach of fiduciary duty claim notwithstanding bankruptcy court proceedings. 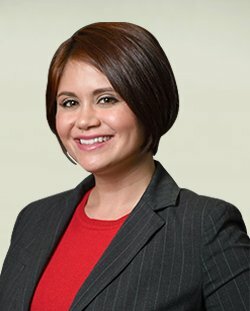 Perez v. Badillo, No. CV 15-1541 (FAB), 2016 WL 798385 (D.P.R. Mar. 1, 2016) (Judge Besosa). Plaintiff Secretary of Labor filed this action against defendants Atilano Cordero-Badillo (“Cordero”) and the Empresas A. Cordero Badillo Retirement Plan (“the Plan”) alleging that Cordero breached his fiduciary duty as trustee of the Plan, which caused the Plan to exist without a named fiduciary or with assets not held in trust in violation of ERISA sections 402-403, 29 U.S.C. §§ 1102-1103. Defendants moved to dismiss, arguing that this court is not the proper forum because administration of the Plan by the chapter 7 bankruptcy trustee should be monitored by the bankruptcy court, and that Cordero is not the proper defendant because, at the time the complaint was filed, the chapter 7 bankruptcy trustee was the administrator for the Plan. The court denied Defendants’ motion to dismiss. It found that removal for breach of a fiduciary duty is a remedy that is created by ERISA law, 29 U.S.C. § 1109(a), and typically arises outside of bankruptcy proceedings. Thus, the court lacks “arising in” and “arising under” jurisdiction. Additionally, the only monetary relief that plaintiff Secretary seeks is payment of expenses incurred in appointing a new fiduciary for the plan and payment of losses to the plan from Cordero’s alleged fiduciary breach. These expenses are to be made by Cordero and Cordero is not the party in bankruptcy. As such, any monetary award will not impact the bankruptcy estate. Accordingly, the bankruptcy court lacks “related to” jurisdiction. On the second issue, the court found that the Secretary’s claims against Cordero are proper because he remained a trustee of the Plan after the chapter 7 bankruptcy trustee was appointed. No jury trial for breach of fiduciary duty claim. Wengert v. Rajendran, No. 8:15CV366, 2016 WL 827754 (D. Neb. Mar. 2, 2016) (Judge Thomas D. Thalken). The court granted the ESOP Committee’s motion to strike Plaintiff’s jury demand. The court found that Plaintiff’s breach of fiduciary duty claim is a claim for failure to pay benefits under the terms of an ERISA-governed plan. Although Plaintiff styled her claim as one for breach of fiduciary duty, in essence she is seeking to recover benefits due to her under the terms of the plan, which is a claim under 29 U.S.C. § 1132(a)(1)(B). “When any monetary relief turns on a determination of entitlement to benefits, such relief is an integral part of an equitable action for which the Seventh Amendment provides no right to a jury.” The court determined that Plaintiff is not entitled to a jury trial on that claim. Moreover, Plaintiff’s breach of fiduciary duty claim arises under 29 U.S.C. § 1132(a)(3), which by its own terms pertains to claims for equitable relief for which there is no right to a jury. 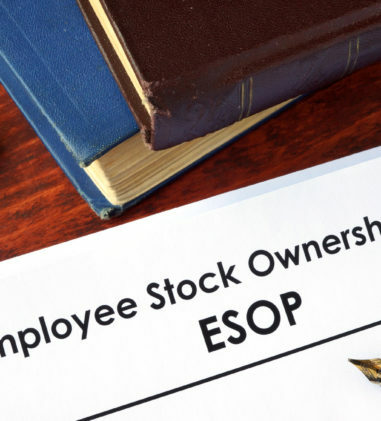 The court concluded that the remedy sought by Plaintiff against the ESOP Committee for its alleged breach of fiduciary duty arising under ERISA is equitable in nature. For these reasons, the court struck the jury demand on Plaintiff’s claim for breach of fiduciary duty against the ESOP Committee. Denial of severance benefits not an abuse of discretion or breach of fiduciary duty. Boyd v. Conagra Foods, Inc., No. 4:14-CV-1435-JAR, 2016 WL 759326 (E.D. Mo. Feb. 26, 2016) (Judge John A. Ross). Under the deferential standard of review, the court concluded that substantial evidence supports ConAgra Food’s denial of Plaintiff’s severance benefits on the basis that he failed to terminate his employment within the 90-day window following the initial existence of “Good Reason,” and notwithstanding his untimely self-termination, Plaintiff did not have “Good Reason” because he did not incur a material reduction in his position, duties or responsibilities or a material adverse change in his reporting relationships. Plaintiff believed he had “Good Reason” to terminate his employment when he received the offer to continue working for ConAgra Foods as Vice President of Manufacturing. He had been working as Vice President of Operations for Ralcorp. Plaintiff alleged there were “material differences” between the jobs, including that two plants were added to his workload, his authority over hiring had decreased, his reporting relationships had changed, and his compensation and benefits had been altered. The court rejected Plaintiff’s argument that his exclusion from a few meetings amounted to “Good Reason” under the Severance Plan. With respect to Plaintiff’s breach of fiduciary duty claim, the court found that ConAgra Foods did not breach its fiduciary duty in failing to provide Plaintiff clarification concerning the definition of Good Reason or what ConAgra Foods considered to be material. “Fiduciaries are not required to anticipate every possible application of a plan to the plan participant.” The court further found that even if a statement made to Plaintiff was material and misled Plaintiff, it was unreasonable for Plaintiff to rely on the statement when he had easy access to convenient ways of ascertaining the truth. The court granted ConAgra Foods’ motion for summary judgment.